If there’s anything I excel at, it’s food finding. I have always said eating is my favourite pastime, and that especially includes dining out in restaurants of fine cuisine. 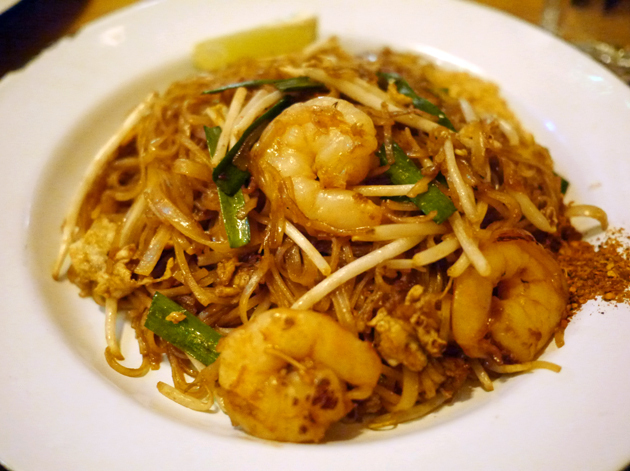 I’m really loving Asian dishes at the moment and my senses guided me to Rosa’s. 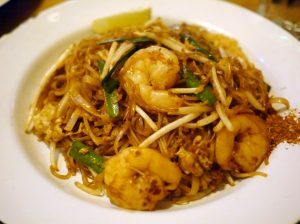 With Thai food you are provided with aromatic spices, a selection of delectable dishes ranging between chicken seafood and vegetables, and on top of that when you choose rightly you are embraced with a beautiful Asian culture. How could you possibly go wrong? I had seen Rosa’s knocking around in multiple parts of London, including Carnaby and Shoreditch, it was only fate that I was led to the Soho branch. My friend who accompanied me on this oriental adventure had boasted to me about this majestic little Thai restaurant she had been to before, which was rich in flavour and fantastic for price, and that we needed to go. Unknowingly I pointed out to the trendy little restaurant tucked away in the corner of Soho and so it happens this was the restaurant she had described. The highly popular restaurant was already packed out on a meek Monday evening. I thought to myself, if it is this busy now I wonder how demanding it is at the weekend? As we took our seats the waitresses were frantically rushing from table to table taking orders under pressure. Saying that, at the end of our meal our waitress profusely apologised exclaiming how busy it has been and she had not meant for the service to be poor. The humbleness in her apology added to the great customer service and we reassured her we loved the food and there was nothing to worry about. 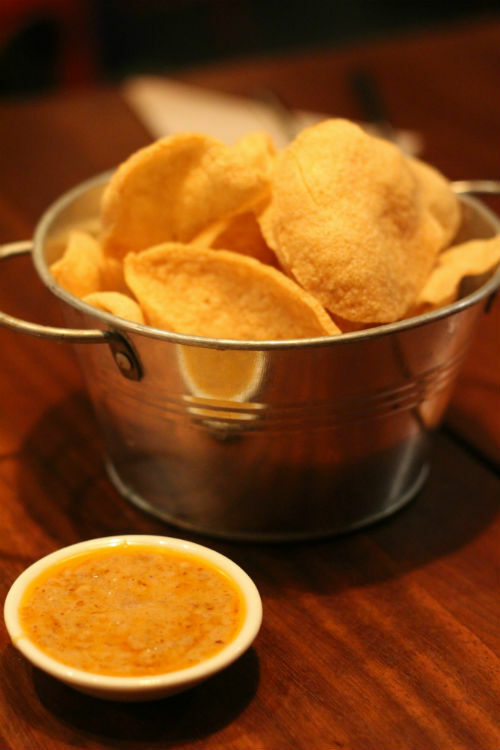 We started off with spicy prawn crackers which was served with a scrumptious satay sauce. A recommendation by my friend which I further praised her for because it was so delicious! Partnered with an amazing value for money house white wine (starting at £18! 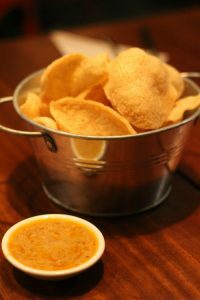 ), we sipped on the dry, crisp beverage enriched in fruity flavours leaving us perfectly content as we awaited our food. As our main dishes arrived I knew we were not going to be disappointed. A delightful warm plate of egg noodles enriched in a special oriental sauce, filled with juicy prawns and garnished with a variety of vegetables with a chilli sauce as requested. The rich chilli-soy flavour kept delivering a mouth-watering sensation after each bite. The striking edition of prawns – stepping away from the average chicken accompaniment – was the special ingredient to the gushing flavour, even now I’m practically dribbling reminiscing over such a fabulous meal. I view the mastermind behind Rosa’s as a culinary genius. I may be biased down to agreeing that Oriental cuisine is the one of the best cuisines, and perhaps I have genetic ties to this type of food by being half Asian, but the quality and authentic taste that comes hand in hand with each dish is an absolute bargain, and the restaurant should be applauded. Wasabi? The Soy Awesome Matsuri Restaurant!